Just in time for his 70th birthday, Iggy Pop has tried his hand at jazz. The veteran rocker works with Jamie Saft’s trio that is completed by Steve Swallow and Bobby Previte, to sing three songs on the group’s latest release, “Loneliness Road.” The news about the new direction comes as both a shock, and not a complete surprise. Iggy Pop is known for his moody, often clattering, always original rock. Pop’s musical output is enmeshed in other realms of popular culture. The movie “Trainspotting” features Pop’s “Lust for Life,” “Nightclubbing” and “The Passenger” in pivotal scenes. Even a cursory listen to these songs reveal that Pop is well-versed in the dynamics of rocking out. The singer was a member of the Stooges from 1967 to 1974. By 1977, Pop was releasing solo albums and continuing to make iconic music. The question remains though: How did the singer go from rock to jazz without creating any fusion work in the process? When I first learned of Pop’s foray into jazz, I thought it would sound like rock music with jazz elements mixed in. That is not what happens on Pop’s latest project. For starters, this is not Pop’s project alone. In an interview with Rolling Stone, Pop admitted to a lifelong love of music that was “…quieter, maybe more introspective.” With this jazz project, that is exactly what the musicians produce. 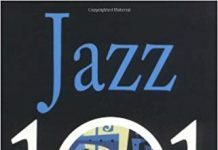 From all accounts, it seems that Pop and the jazz musicians had mutual associations with someone in the recording industry. The jazz musicians passed along a message that they wanted to work with the veteran rocker. Pop agreed. The result is jazz; maybe not what people expected of him, but it is jazz nonetheless. Further, true to form, Pop manages to surprise audiences with a number of approaches he takes to music. The instrumentation is sparse. Behind Pop’s deep, ragged vocals, a bass produces a sound both groovy and filling. The piano is bright without being strident, and the drums tap rhythmically before giving way to rolling fills that add texture to the song. The song is a piece of advice. The lyrical interest comes from the unusual rhyme scheme–which I had not expected at all. The point seems to be that you can do any number of things, including one activity that earns the song its explicit label, but “don’t lose yourself.” Elsewhere, “told” and “explode” complete a rhyme scheme and that bit of invention was not the only example of creativity. The slower pace of the song, the irreverent humor, and Pop’s almost Tom Wait’s style of singing make this is an interesting track. Certainly the advice might be worth taking. Pop surprises on “Don’t Lose Yourself.” It is emotional and captivating, and it is real jazz.